Here is the CoolPad 5311 firmware (Flash file) that you can download to your computer. If you flash this firmware on your CoolPad 5311 then you will bring back your device to its original stock state. That means your device will be in the condition like you bought it for the first time. 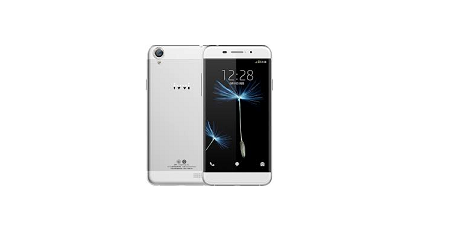 The CoolPad 5311 firmware here is in zip format and comes with flash tool, flash file and also the manual instructions to flash the stock ROM. If your device is experiencing technical errors such as bootloop and or want to restore your device’s warranty, if the warranty is still valid, then download the CoolPad 5311 firmware. Step 1. 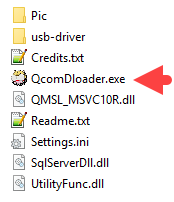 Download QcomDloader Tool (choose the latest version) and you need to unzip the file to your PC. You will see the following list of files after unzipped. Step 2. 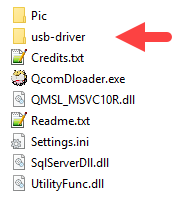 Now install the the QualComm USB Driver to your computer — However if you already have done it just skip this step and continue to the next step. Step 3. Now connect your device to computer using a USB cable data. Step 4. 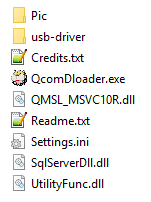 After that, click on the QcomDloader.exe file. Step 5. 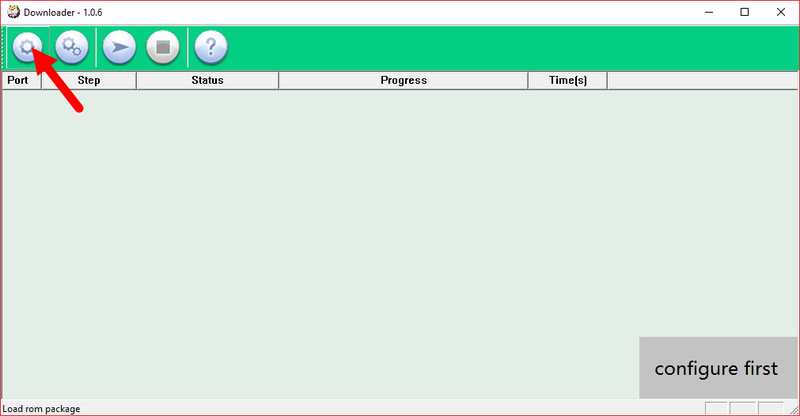 After the QComDloader Tool is opened you will see the following interface. Step 6. 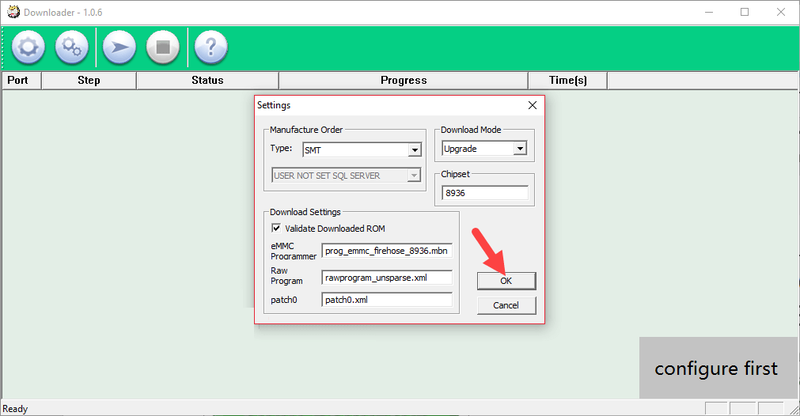 Click the Load button now then locate the QualComm Firmware on your computer. Step 7. Click Settings button option and then select the Download Mode as the Upgrade Option. Step 8. On the Download Settings, tick the Validate Download ROM. Step 9. 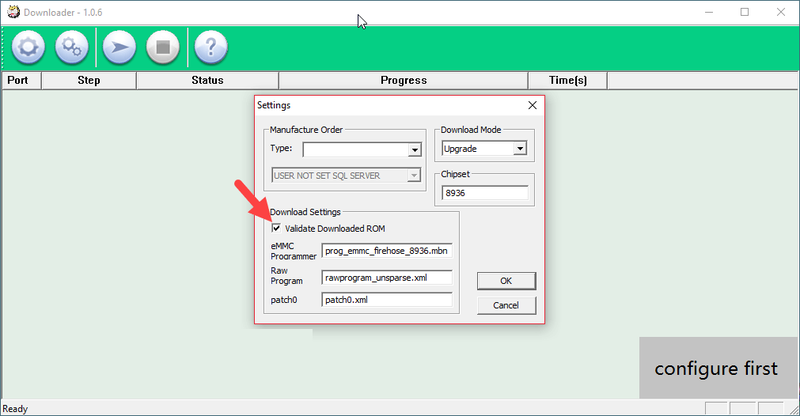 Leave other options unticked or unselected such as the eMMC Programmer, Raw program, Patch0 Box Options. 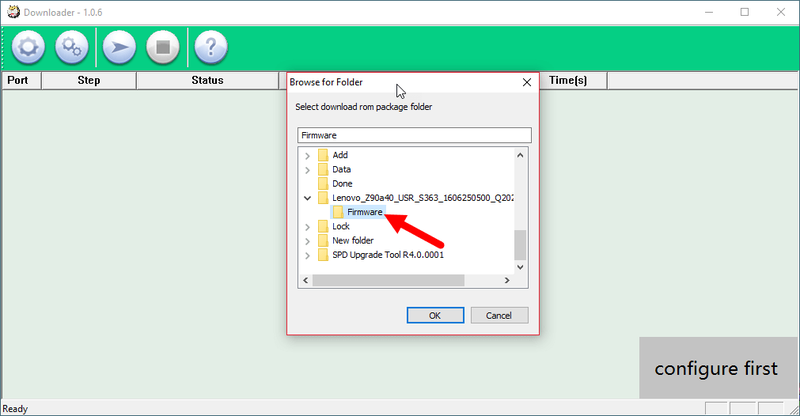 However you probably need to alter the name, if the name of the respected file is not similar or same as written on the box. FOR EXAMPLE. IN CASE YOU OPEN THE QUALCOMM FIRMWARE FOLDER (LET’S SAY YOU HAVE ALREADY DOWNLOADED THE FIRMWARE), THEN YOU MUST FIND THE VARIOUS FILES OF WHICH THREE MAIN FILES ARE READ BY THE QCOMDLOADER TO INSTALL THE WHOLE PACKAGES I.E., PROG_EMMC_FIREHOSE_8916.MBN, RAWPROGRAM_UNPARSE.XML, PATCH0.XML. Notes. 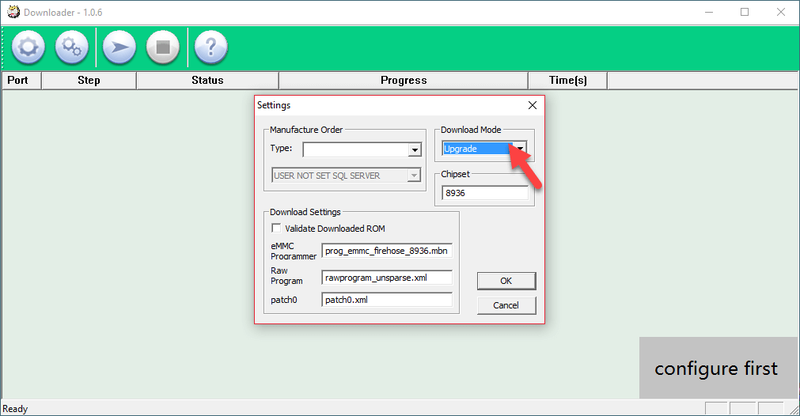 If the eMMC file is different name, then write the exact name in QcomDloader, so the tool will identify your firmware flash file. Step 10. 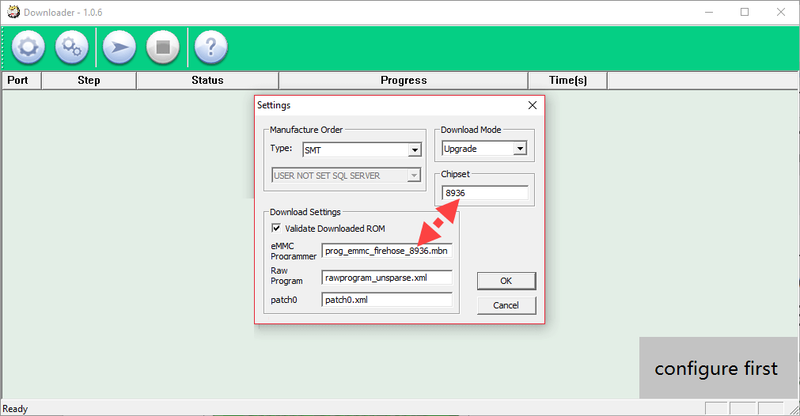 Now under Chipset ID, write the Chipset no (Here is eMMC file name if prog_emmc_firehose_8916.mbn of which 8926 is your device’s Chipset ID). Step 11. Now press OK option to exit the Configuration Options. Step 12. 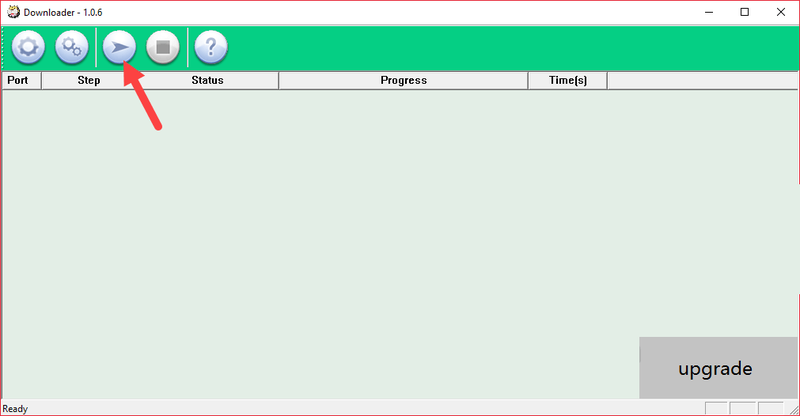 You may click the Start button Option to begin the flashing processes. Step 13. 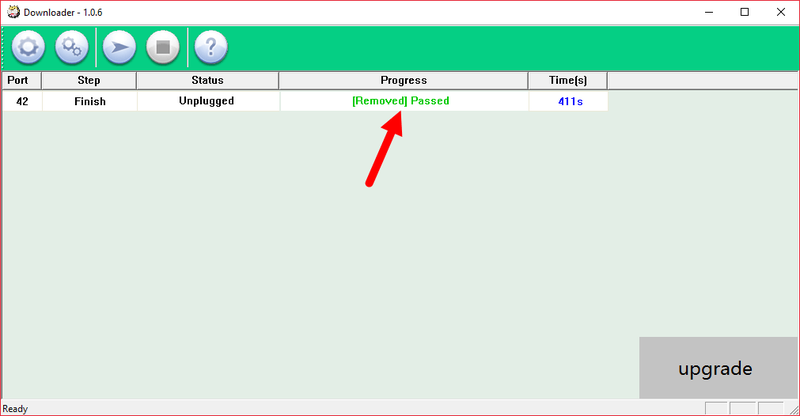 Well done the flashing process is complete therefore you will see the Green Passed Pop-up notification just like on the picture.